For a while now, I have considered a number of the systems in Nigeria, trying to understand why they do not work, or why they do not work perfectly, so that I can figure out ways to make them do just that, and while I cannot claim to understand completely the inner workings of the polity, the various ministries, parastatals and agencies in this country, I however have some knowledge of what the systems entail, and can also read human nature and predict outcomes to a reasonable level. Over the next few weeks, as I find the time, I would be analyzing different systems across Nigeria and outlining my suggested solutions for reworking them for better efficiency. What is the purpose of all this? So, I am posting this here, online, so that anyone can see it, and use it. I only ask to be referenced. In all my thinking, I have realized that the major underlying factor that plagues the Nigerian system is an overpowering urge to copy the modes of operation of systems in play in other (more developed) countries. This is not endemic to Nigeria though, in many African countries the same can be said. However, this forces the Nigerian system which has not evolved enough to attempt strategies that are way beyond its ken. It’s akin to a baby trying on a meal of salad. While we know that salad and greens are good, awesome and healthy food (yaay! #Fitfam), a baby needs food with more heft at that stage of its development. And if that’s not enough, you should know a baby cannot chew cabbage with those pink gums. My panacea to the matter has always been to understand the extent and purposes of the modes of operation in place within the systems of developed nations and modify them to suit the Nigerian system, state of mind and place in the evolutionary chain. You can feed a baby bran and milk, or even vegetables, but by and large they have to be mashed first for the baby to swallow, since it has no teeth. As the baby evolves, or grows older, the food is modified till it is the same with what mummy and daddy chew. There are systems in play in Nigeria, but they are a direct copy of what is in play in developed nations, while our modes of operation for those systems, our state of mind and our place in the evolutionary chain, are not on par with the systems. The solution is to modify what we have learned to match with what we need. For the purpose of today’s lesson, we consider the Nigerian checkpoint system. Perhaps, as a carryon from the old military days when everybody was as distrusting of their mother as they were of their neighbour, the checkpoints were a wonderful idea: situate armed police and military officers at certain locations to search vehicles and occupants to ensure none is carrying contraband items, attempting to flee a restricted zone or “plotting”. Remember, back then the old NADECO members would pile into vehicles and in the guise of taking a leisurely drive around town, plot and plan their subterfuges. Till date, over 17 years into the democratic era, the checkpoints are still in full force. There is an argument, which makes sense that states; the checkpoints serve to detract the actions of nefarious individuals from carrying out their actions. The mere presence of a checkpoint within a particular location is enough to detract your average criminal and besides, the police officers on duty are trained in certain psychological techniques to detect those with criminal intent who try to pass through the checkpoints and can hold them at will. Question 1: But, what of the more than average criminal? Or more likely, the police officer who does not understand or cannot remember the psychology principles taught during basic training? How do they stop criminals from passing through? The police checkpoints have over time become sites of corruption, where thousands of naira exchanges hands daily and hundreds of criminal individuals pass through uninhibited and unhindered, their pockets only slightly lighter. Question 2: How do we stop police officers from taking bribes? In many different situations, I have witnessed brutality occurring at the checkpoints, where officers of the law are engaging in lawless thrashing of (sometimes, innocent) individuals simply due to a lack of evidence. Going beyond their purview to beat or fine people who park the wrong way, do not have (or forgot) a certain permit among their papers or who just look fishy in the eyes of the sergeant on duty. Question 3: How do we stop police officers from going beyond their purview, to fining or beating people without proof or beating people at all? In busy cities like Lagos, Abuja and Port Harcourt, police checkpoints are an absolute nuisance. The population in those cities and the number of cars that ply the roads on a regular basis are a nightmare when combined with the presence of checkpoints at almost every other kilometre. Traffic jams are the outcome, along with overly stressed police officers, angry and irate passengers, drivers and other road users and in the midst of all this mayhem, the opportunity for criminals to sneak through. Question 4: How do we reduce the number of checkpoints while still maintaining the value position they present? There are many other questions that may arise, but I am certain that by the end of this post, I would have answered most of them. And now, the answers. NB: Some of the answers/suggestions may overlap. The more than average criminal is certain to pass through a checkpoint manned by police officers. The mere presence of the checkpoint does nothing to deter the criminal from passing through. The major reason behind this is the preparedness on the part of the criminal. The knowledge that a checkpoint exists on Street K, and will be there every night from 7:00 pm to 5:00 am in the morning, gives the criminal advance warning and enough intel to prepare. Criminals pay off officers on duty in advance to let them pass through, plan their movements for before or after the checkpoints have been dismantled, or properly hide their contraband items in places the police officers will not check and so on. The very presence of a checkpoint now serves as a motivation for the dedicated criminal to improve on strategy to ensure they pass through. The solution to this is to employ roving vans/patrols instead of checkpoints. The element of surprise that is employed with the roving patrol van is a better strategy to detract criminals. Only an exceptional criminal would be able to evade a roving patrol which can appear out of nowhere, and at any time, set up a road block and begin checking vehicles. This method is sure to limit the level of preparedness of the criminal. Psychological training for police officers is a matter of policy: Policy employed to ensure regular training sessions for all police officers assigned checkpoint duties to ensure they are constantly up to date with the most recent strategies to spot the criminal behaviour and apprehend it. Bribery (both in the giving and collecting) is a character vice and can only be curbed using strict punishment as a deterrent. Stringent punishment for offenders (givers and takers and those found guilty of colluding in the crime or witnessing without reporting it), in form of instant sack or dismissal from places of work (whether public or private), “Walk of shame” parading in front of media outlets, as well as fines and prison sentences, combined together will serve as adequate deterrent to future misbehaviours. The only way to stop police officers taking bribes at checkpoints is to fight the practice completely, punishing those who ask, those who offer and those who accept. A follow up question would be: Who would make the arrest? And how can we be sure the “arresters” are themselves not guilty of the crime? The answer is simple and a lesson as old as time. It takes a scapegoat. When a bunch of officers, and some private citizens are arrested, punished and paraded on major news outlets for “small bribe”, citizens would refuse to part with (ostensible, at the least) bribes no matter how pressured by police officers at checkpoints. By limiting the source, the supply would drop and the market would end. This is a matter of policy first of all. The policy that ensures well trained officers are the only ones on the road. Secondly, a database should be created from all of the information garnered over the years related to number plates and other vehicle registration details, drivers license details etc. accessible on the internet with regularly updated copies made in both soft and hard copy available at all police stations (or Zonal HQs at least) across the country. With a simple shortwave two-way radio, a text or a phone call, a police officer at a checkpoint can confirm from a dispatcher at the station if the man behind the wheel is indeed the owner of the vehicle, especially when the driver forgot his/her papers, or even more importantly ascertain if the registration papers or license that were presented are genuine. This system of communication/confirmation with the stations will also help police officers track down fugitives and offenders who beat checkpoints. NB: An enterprising car thief could mock up fake registration papers and pass through veritably every single checkpoint in this country, and only a system such as outlined above can prevent that. Like earlier suggested, roving patrols would provide a better option than checkpoints. At certain important chokeholds, such as at state or city boundaries, a checkpoint is a great idea. Also, within a specific radius of important locations such as government houses and the presidential villa, checkpoints would serve a good purpose. However, to put them on every street junction is foolhardy. 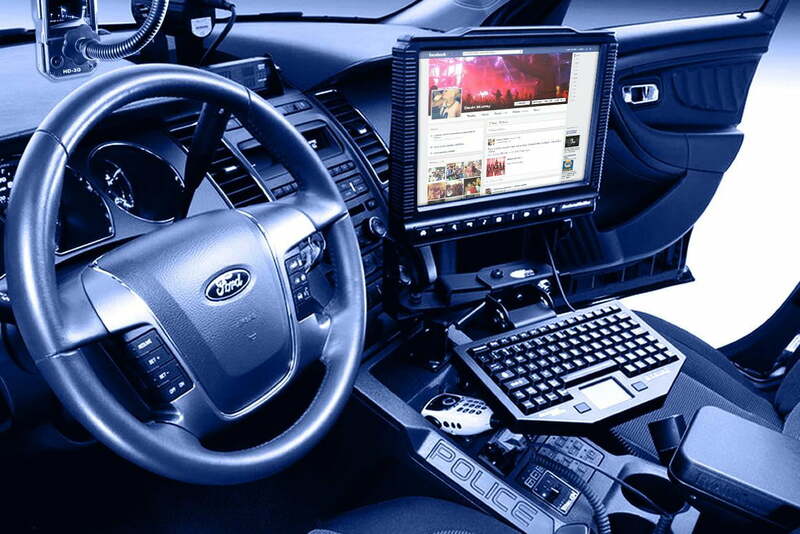 Patrol cars parked unobtrusively at the side of the road in certain areas, and then some leisurely patrolling through the streets would serve a better purpose, reduce the possibility of traffic logjams and improve the ability of the police officers to spot threats. Now, my suggestions are just that, and the comments are open for any additions and discussions. I intend to continue with this series and would appreciate suggestions on other topics we can discuss. I have to disagree with you that giving bribes is a character vice. In Nigeria giving bribes to Police officers is a necessity most times, especially when you don’t have the time or you cannot bear to inconvenienced. Aside from this, you raise solid points. Thanks for your comment Uyi. Question for you though, what would be your solution to stopping bribes, considering the amount of your time a typical Nigeria Police officer would waste if you refuse to bribe him? While I agree with most if not all of the suggestions put forward, I however do not agree that on the issue of policing, Nigeria adopted/adopts a procedure used in developed nations. Taking the checkpoints as an example I am yet to see a good amount of developed nations who employ this tactic. In the U.S for example this was the norm (at a time if I might add which was after Nigerian police officers used this tactic, who copied who?) in cities like New York where there was a stop and friak but was quickly abolished because it was used for racial profiling and targeted mostly black men. So liked I said this is a Nigerian/ developing nation thing. An archaic method of policing that was put in place by the Nigerian Military government and is still in force in a democratic era because most Nigerians don’t even know that is is largely illegal; this practice. Your suggestions especially on investments in databases is quite on point in my opinion and if we indeed copied developed nations would have been adopted a long time ago. Thanks for your comment Ojay. However, to answer the question you raise, I did note that this “checkpoint practice” is a carry-on from the military days in Nigeria and, if you consider the militaristic eras in Europe (in countries like the USSR, France, Italy etc. ), you would see the practice was practically established there. And then, the Nigerian system copied thus, and refused to abandon even after those more developed countries abandoned it. Which is generally the practice in Nigeria, to copy without completely understanding purpose. Which is what needs to change also. All in this life's journey… Create a free website or blog at WordPress.com.